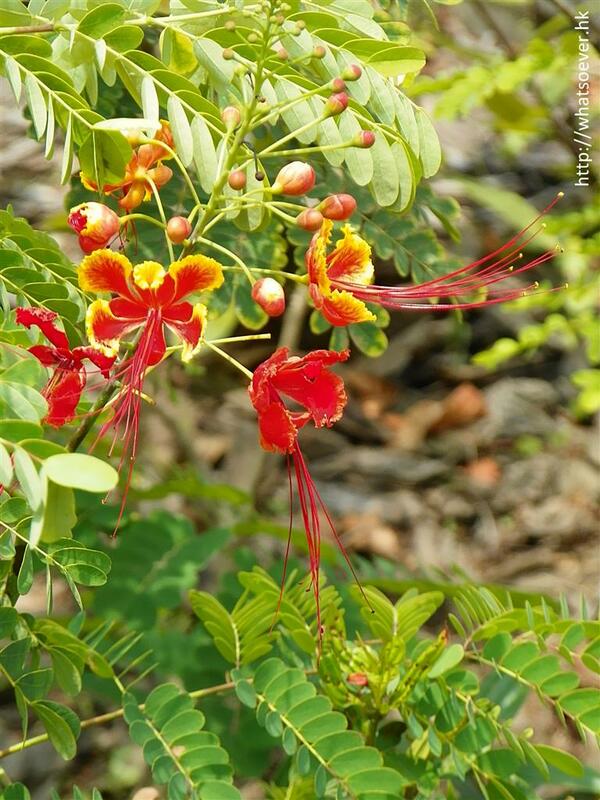 Red Bird of Paradise / Peacock Flower (Caesalpinia pulcherrima) is a striking ornamental plant, widely grown in tropical gardens. It is also the national flower of the Caribbean island of Barbados, and is depicted on the Queen's personal Barbadian flag. The Queen's Personal Barbadian Flag, sometimes known as the Royal Standard of Barbados, is the personal flag of Queen Elizabeth II in her role as Queen of Barbados. The flag was approved for use in the 1970s and is only used by the Queen when she is in Barbados, or attending an event abroad in her role as head of state of Barbados. Flowers of Red Bird of Paradise live up to incredibly showy blossoms of orange and red. 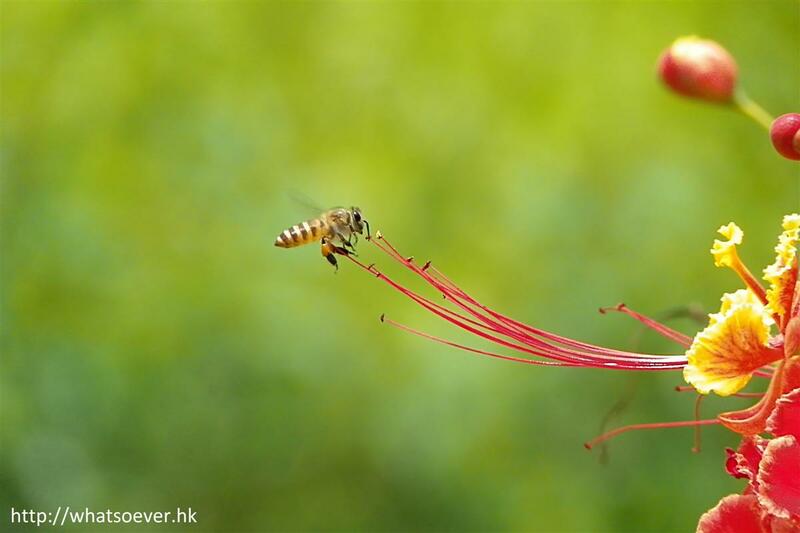 The flowers are bowl-shaped, 2-3" across, with five crinkled, unequal red and orange petals, and ten prominent bright red stamens that extend way beyond the corolla.